As SpaceBukkit is now installed, it’s only fair to the program to install and set up it’s companion website, SpacePanel. While this program should allow you to control different game servers, we’ll be using it to control our CraftBukkit Minecraft server. Although the instructions given on the website are only three lines long, there’s also a number of steps that also need to be completed too. Note: I’m assuming that you’ve used the full install command from when CraftBukkit was installed, and not just the bare minimum to get it to run. Update: Only after I had written this post, did I find out there is a website called SpacePanel, which as far as I can tell, it not related to SpaceBukkit. My apologies for any confusion. To start off with, we’ll need to create a MySQL database, along with a MySQL Minecraft user. Type the following command and press Enter. Type the password that you created for the root MySQL user from when MySQL was installed. If you’ve typed the right password, you will be shown a few welcome messages and then be presented with the “mysql>” prompt. We can create a Minecraft database by typing the following command and pressing Enter. Don’t forget the trailing semi-colon “;“! 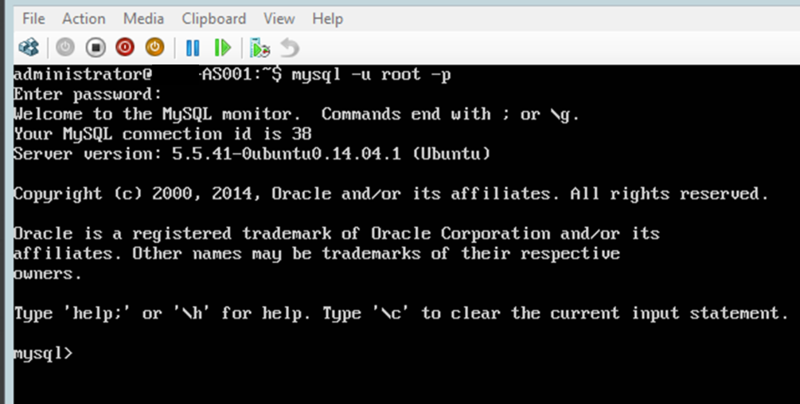 While we can keep logging in with the root MySQL user to access the database, it’s not really recommended. Therefore, we’ll need to create a user who has access to just the Minecraft database that we just created, and not any other part of MySQL. Create the user by typing the following command and pressing Enter. Remember to change the “<password>” to something you can remember! Don’t forget the trailing semi-colon! Now that the MySQL user account has been created, the permissions for it to be able to use the Minecraft database. Type the following command and press Enter. Again, don’t forget the trailing semi-colon. 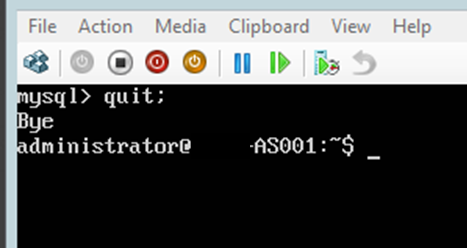 As we have finished with interacting with MySQL directly, we can exit this prompt by typing the following and pressing Enter. We are now all set to download the SpaceBukkit web panel. Like the instructions to install SpaceBukkit, these are based on a modified version of the official guide. Log in to your server with the administrator account that was set up when you installed Ubuntu. If you are still logged in to the Minecraft user account (not the MySQL account), type “logout” followed by Enter first, then log in as above. As the files for the Web Panel will go directly into the Apache web server root directory, we need to change into that directory first. Type the following command and then press Enter. The prompt will change from “~$” to “/var/www/html$“. Download the installer file into this folder by typing the below command and press Enter. Type your password if requested to. Start the installer by typing the following and press Enter. Type your password if needed. The installer will then start checking to make sure that all of the programs that it needs to have installed are there. It will fail on locating the “php-curl” program, even though it was installed. Still, no point in arguing with the installer, so type “y” and press Enter. Confirm that you want to install the files that the installer downloads into this folder that you are currently in (“/var/www/html“) by typing “y” and pressing Enter. \o/ *!party! * \o/ – whoop whoo… what? … not so fast with your partying just yet. Although the installer says that all files have been modded, we need to change the permissions on some files otherwise we will not be able to get past the first step when setting up the SpacePanel. Type the following and press enter. Type your password if needed. Now you have have your party. Well, more a really small break, as we now need to set up the SpacePanel, too. Posted in Gaming, Guides, Network Management. Tagged Minecraft.